De complete carousel van Steiff: de beertjes en dieren zijn ong. 12 to 14 cm. groot. 2000: EAN 038709 Carousel + 1 gondola met 2 beren + paard. 2001: EAN 038716 1 gondola met 2 beren en een olifant. 2002: EAN 038747 1 gondola met 2 beren en een tijger. 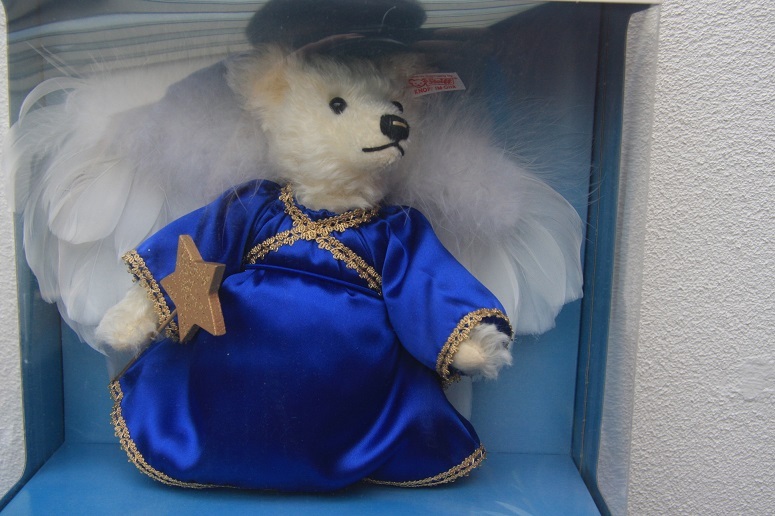 2003: EAN 038730 1 gondola met 2 beren en een aap. De carousel kan draaien en is voorzien van een muziekwerk. De carousel komt in een (grote) doos met certificaat. 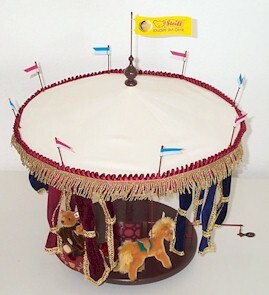 Millennium-Carousel with music box (crank handle operation) and first gondola set is approximately 58cm in diameter and 64cm in height. 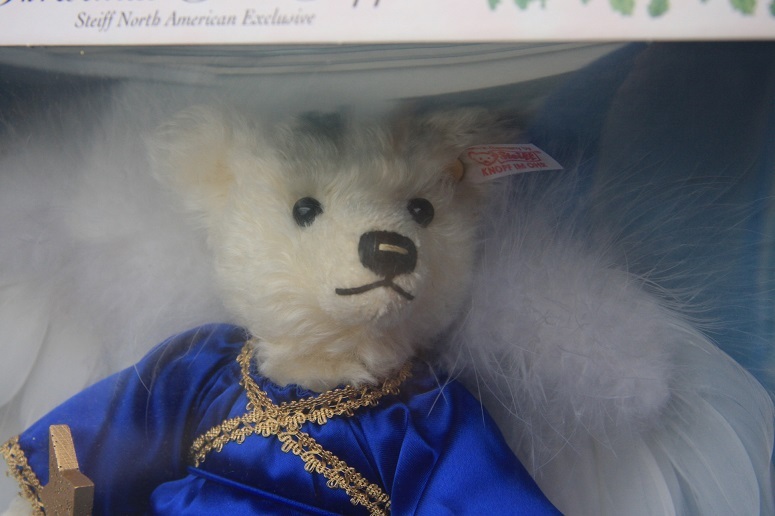 The first gondola has 2 Teddy bears, blond/dark brown and light brown/dark brown in color, with gold-plated "Button in Ear", made out of mohair plush and are 12cm in size. It contains as well 1 horse, light brown, with gold-plated "Button in Ear", mohair plush, 14cm. The carousel has been issued over 4 years, e.g. from 2000 to 2003. The issue size is 2000 sets only and comes with a certificate in a huge box. 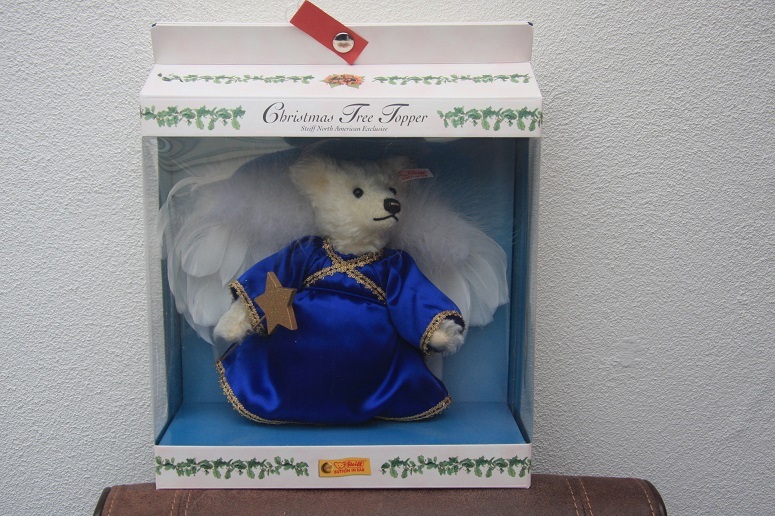 In 2001 - EAN 038716: The second gondola which contains 2 more Teddy bears, blond/dark brown and light brown/dark brown in color, with gold-plated 'Button in Ear", made out of mohair plush and which are 12cm in size. It contains as well 1 elephant, with gold-plated "Button in Ear", mohair plush, 14cm. In 2002 - EAN 038723: The third gondola which contains another 2 Teddy bears, cream/caramel and honey/caramel in color, with gold-plated "Button in Ear", made out of mohair plush and which are 12cm in size. 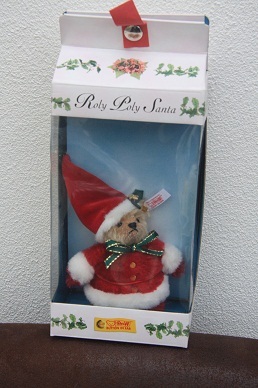 It contains as well 1 tiger, with gold-plated "Button in Ear", mohair plush, 14cm. 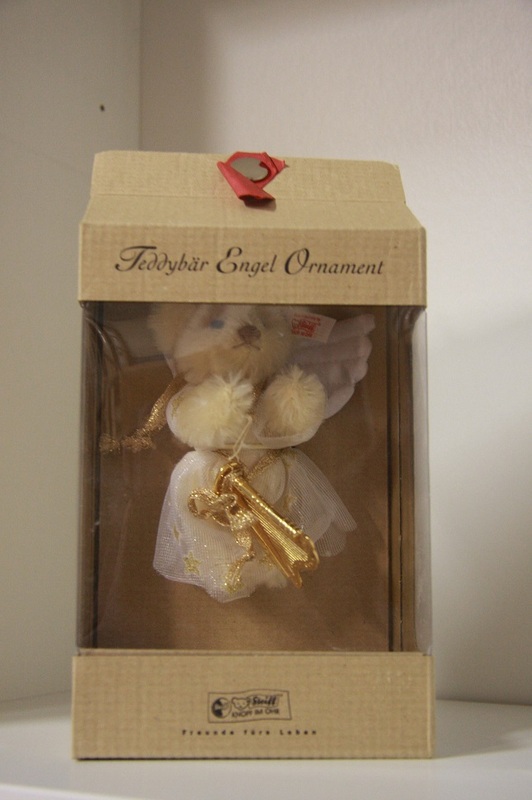 In 2003 - EAN 038730: The fourth gondola which contains the last 2 Teddy bears, cream/rust brown and honey/rust brown in color, with gold-plated "Button in Ear", made out of mohair plush and are 12cm in size. 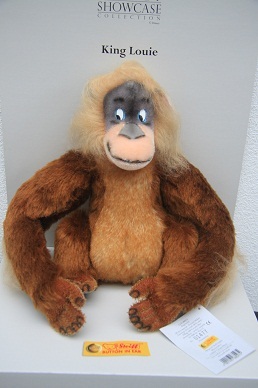 It contains as well 1 monkey, with gold-plated "Button in Ear", mohair plush, 12cm.